No matter where you live in Central Florida, even if you’re in the beautiful Heathrow area, the possibility of a rat infestation is ever-present. Often, these critters take up residence in our attics, causing all sorts of damage and posing a health risk to your loved ones. Getting them out and keeping them out is critical to living a clean and healthy life, and ensuring the safety of your family. If left unaddressed, rats will reproduce and continue to cause damage until action is taken. DIY rat removal solutions are marginally effective at best, and puts you and your family in harm’s way in the process. Without the necessary tools and experience, rat removal is often a frustrating and nearly impossible process. Rats are smarter than we give them credit for, and are able to adapt to different threats and avoid thing like traps set in their path. Additionally, when trapped or cornered, rats often become aggressive and can injure anybody who is not properly trained in proper rat removal techniques. 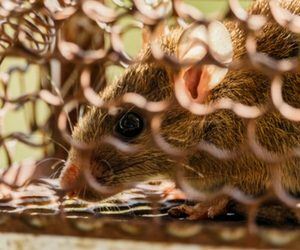 If you live in Heathrow, and you think that rats have taken over your home, know that the experts here at Critter Control® of Orlando are here to help. We will efficiently eliminate any critters from your property while keeping you and your family safe. Call us today at 407-295-7194 with any questions, or to schedule your complimentary Heathrow home inspection.